CUNY invested $275,200 in private prisons in 2014 according to a Freedom of Information request filed by the CUNY Prison Divestment Campaign. The investments come from CUNY’s endowment, which helps to fund academic scholarships. The Freedom of Information request revealed CUNY invested $4,600 in Aramark, $8,400 in Geo Group, Inc., $13,300 in the Corrections Corporation of America, and $248,900 in G4S plc. What is CUNY Prison Divest? CPD, founded in 2012, aims to expose the financial ties between CUNY and what they see as oppressive institutions around the world, including the private prison industry, law enforcement institutions and the Israeli occupation of Palestine. Inspired by the prison divestment efforts at Columbia University, the CUNY campaign was created as part of National Prison Divestment Campaign by students at Brooklyn College, Hunter College and Columbia University with the help of the Responsible Endowments Coalition, which has been involved in several successful campaigns such as Ban The Box and Columbia Prison Divestment. “We requested the FOIA report so that we could receive actual proof of these investments that were taking place,” said Nancy Uddin, who was a Sophomore at Hunter College at the time and whose name the request was filed under. According CPD co-founder Ashley Agbasoga, the campaign was originally conceived not only to get CUNY to divest from the prison industry, but also from Israeli companies and companies that profit from the Israeli occupation of Palestine. “BDS was crucial to [CUNY] Prison Divest upon its founding” said Agbasoga, a Brooklyn College graduate and former member of Brooklyn College Students for Justice in Palestine. In an April 2015 interview with the Doctoral Student’s Council at the CUNY Grad Center’s publication, The Advocate!, Agbasoga and CPD co-founder Ian Trupin of the Responsible Endowments Coalition discussed the link between the private prison industry and the Israeli occupation of Palestine. 1) CUNY must divest from all private prisons and private detention centers, and all institutions that benefit from the suffering of our communities. Divest from all companies that use prison labor to make items we use in our classes. 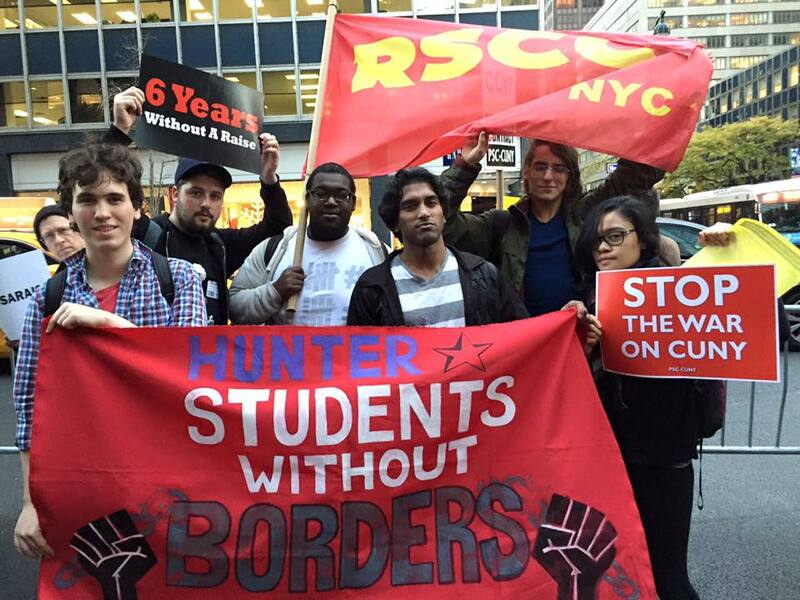 2) End all NYPD, ROTC, Border Patrol, ICE Police recruitment and all military recruitment in CUNY campuses. End the militarization of our university. 3) We want an end to the partnership with NYPD. We want a community controlled security force. 4) We demand that CUNY funds programs to reintegrate formerly incarcerated people into the university. 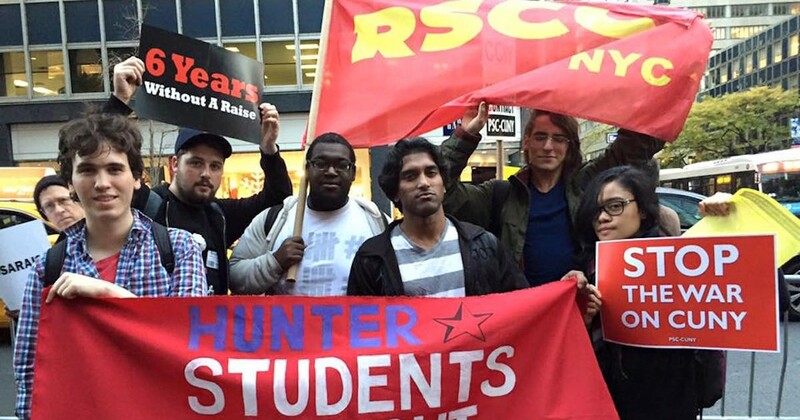 5) We demand a CUNY democratically controlled by the students, community and staff. 6) We demand divestment from Israeli companies as well as the divestment from organizations that fund the existence of apartheid Israel. The CPD petition’s demands cover both private companies that profit from incarceration and occupation as well as public institutions that contribute to incarceration and occupation. Among CUNY’s investment portfolio are some of the world’s largest private correctional companies. Geo Group is “the world’s leading provider of correctional, detention, and community reentry services with 105 facilities, approximately 87,000 beds, and 20,500 employees around the globe” according to its website. 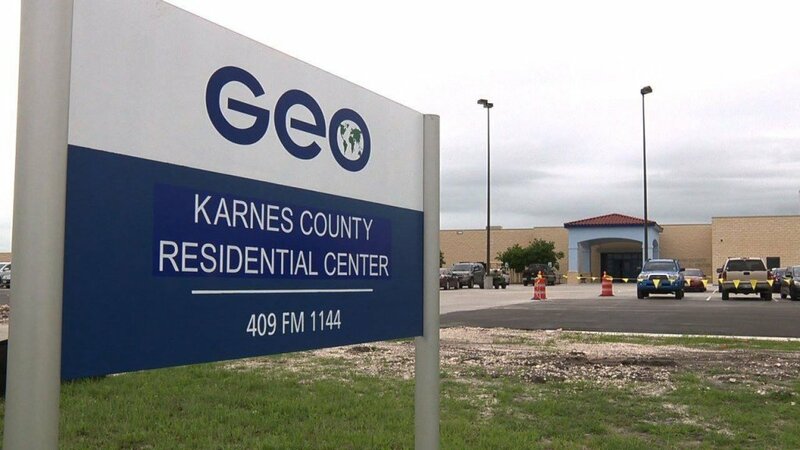 Geo Group is also the operator of the Karnes County Residential Center, an immigrant detention facility in Texas. Karnes has been the focus of allegation after allegation of prisoner abuse, including sexual abuse and refusing legal aid workers access to the facility. Detainees at Karnes are given the option of drinking water that has been contaminated by the massive amount of fracking in the region or they can buy clean bottled water for $3 — the same amount of money a detainee is paid per day for working in the facility. Geo Group is also contracted to operate the Queens Detention Facility in Jamaica, Queens. Opened in 1997, the Queens Detention Facility has come under scrutiny in the past for its history of over-extended detentions and in 2004, half the prisoner population went on hunger strike to call attention to conditions in the facility. Karnes County Residential Center in Texas has fallen under scrutiny recently for its poor living conditions. Also among CUNY’s private prison industry investments are Aramark and the Corrections Corporation of America. Aramark, a company that provides facilities, clothing and food services to state and federal prisons has been known to provide prisons with maggot-infested foods, literal garbage, dog food, worms and food scraps. CCA, the largest private prison company in the United States, operates more than 65 facilities around the country. This month, around 500 women went on hunger strike in Texas at CCA’s T. Don Hutto immigrant demential center to protest the facility’s poor conditions. G4S provides transportation for detained undocumented migrants, bringing them to be detained in facilities such as the aforementioned Karnes County Residential Center. She added: “I see us working towards a CUNY-wide BDS campaign, fighting imminent tuition hikes and continuing to mobilize students. The petition is circulating throughout CUNY and online. It allows us to let students, faculty, and community know who we are and what we’re about. As one of CPD’s flyers says: “With a retention rate of less than 50 percent at nearly every CUNY school, it is more than clear that the system is designed to fail us. “Hardly adequate schools on top of a militarized security force points to a more than evident school-to-prison pipeline as youth drop out from high school to college and either end up working poor jobs and/or in the streets. “The fact CUNY invests in institutions that prosper from the plight of oppressed people, from Israeli companies to prisons, makes this reality no more clear.